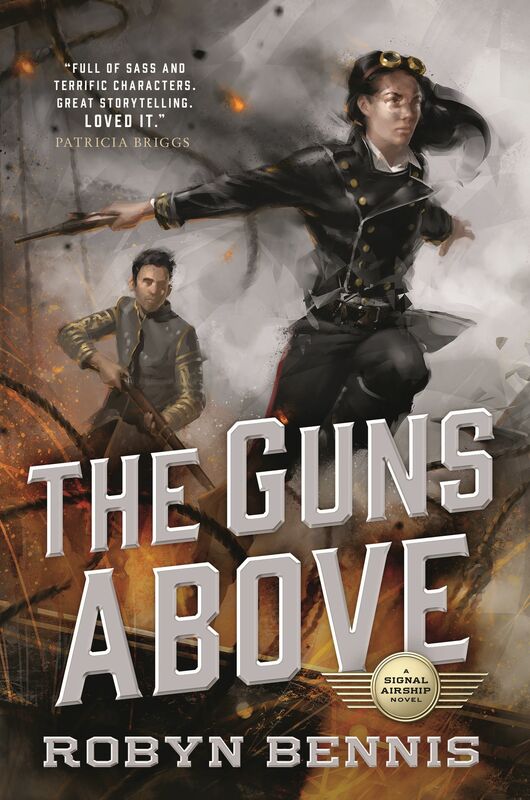 In the tradition of Honor Harrington and the high-flying Temeraire series, Bennis’s THE GUNS ABOVE is an adventurous military fantasy debut about a nation’s first female airship captain. They say it’s not the fall that kills you. For Josette Dupre, the Corps’ first female airship captain, it might just be a bullet in the back. On top of patrolling the front lines, she must also contend with a crew who doubts her expertise, a new airship that is an untested deathtrap, and the foppish aristocrat Lord Bernat, a gambler and shameless flirt with the military know-how of a thimble. Bernat’s own secret assignment is to catalog her every moment of weakness and indecision. So when the enemy makes an unprecedented move that could turn the tide of the war, can Josette deal with Bernat, rally her crew, and survive long enough to prove herself? Many of Bernat’s most sexist moments are based on experiences I’ve actually had, courtesy of people I now despise. Even so, he’s not only my favorite character, but my favorite achievement, because I succeeded in making him loveable in spite of his sexism (not to mention his many other flaws.) I stress the “in spite of,” as Bernat is not meant to be loveable because of his sexism, which is the direction the lovable sexist trope usually goes in. The entire world of The Guns Above is filled with rampant sexism, which blunts the trope a bit, but what really sells it is that he pays for it in a way that isn’t just the punchline of a joke. He pays with the sort of emotional turmoil and self-doubt that accompanies personal growth. Bernat becomes a slightly better person, but it’s a painful journey. He doesn’t come to an epiphany, nor do the women in his life come to see his sexism as harmless—and they certainly don’t escape harm from it. To put it bluntly, Bernat’s playful sexism threatens to destroy careers and even lives, not unlike playful sexism in the real world. Yet readers love him. It certainly helps that every major character in the book is some sort of monster or another, so Bernat doesn’t look quite as bad by comparison. 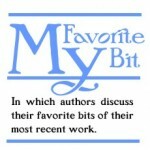 Plus, he and Josette share a quick and biting wit. Their verbal sparring matches are delightful, if I do say so myself, and I’ve found that readers are willing to forgive almost anything in a character who can deliver a really killer burn. When early readers expressed their undying love for Bernat, but still saw him as the colossal jerk he is, I breathed a big sigh of relief. I wasn’t sure I had the writing chops to pull that off, but I’d really done it. I’d done it for that small and friendly audience, anyway. We’ll have to see what happens when my little book goes out into the wider world. Provisionally, however, Bernat is that rare, loveable sexist who doesn’t normalize loveable sexism, making him my favorite bit of The Guns Above. 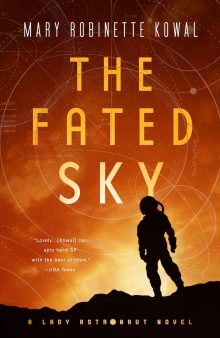 Robyn Bennis is an author and scientist living in Mountain View, California, where she consults in biotech but dreams of airships. Her apartment lies within blocks of Moffett Airfield’s historic Hanger One, which once sheltered America’s largest flying machines. The sight of it rising above its surroundings served as daily inspiration while she wrote her debut novel, The Guns Above.